9 Great Ideas for the Best Girls Night Out! One on one time with our kids is so precious! They all want to have our individual attention ALL of the time, but with 2 girls and 2 boys that is not always possible. We try and give each child the attention they need each day but sometimes a date night is needed! 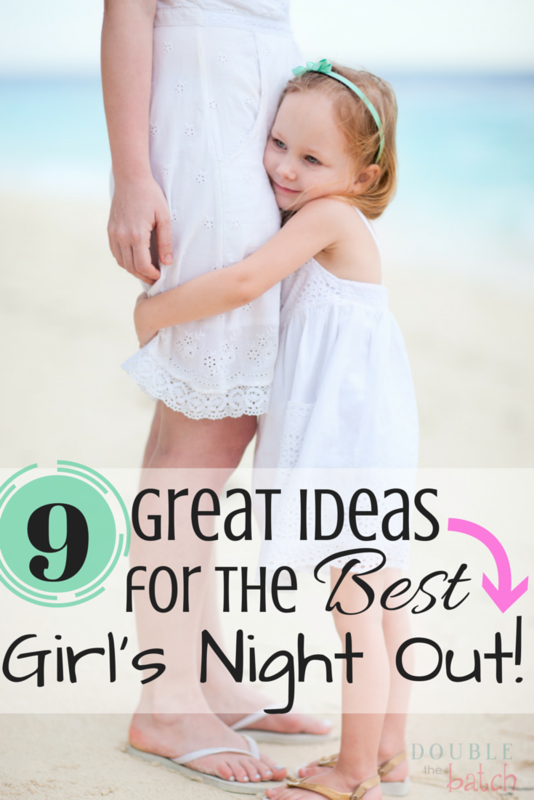 If you’re needing some one on one time with your kids, or more especially, a girls night out with your daughter, here are some great ideas! 1. Go for a Walk! IF your daughter is really young, push her in the stroller, if she’s a little older, take a walk to the park to play. If she’s a teenager, even better, use the time to just chat about her life and what means the most to HER. I’m 37 years old and I STILL LOVE going on walks with my mom because we love to talk! 2. Go Bowling. Bowling is fun for every age! If your daughter is too young to pick up a bowling ball, you can make your own little bowling alley! 3. Spa Night! What girl doesn’t love a facial or pedicure? It doesn’t even have to cost a fortune! My girls love to get their nails painted. I guarantee you they probably won’t remember what color I painted their nails 20 years later but they WILL remember we had fun together! 4. Get your bake on! 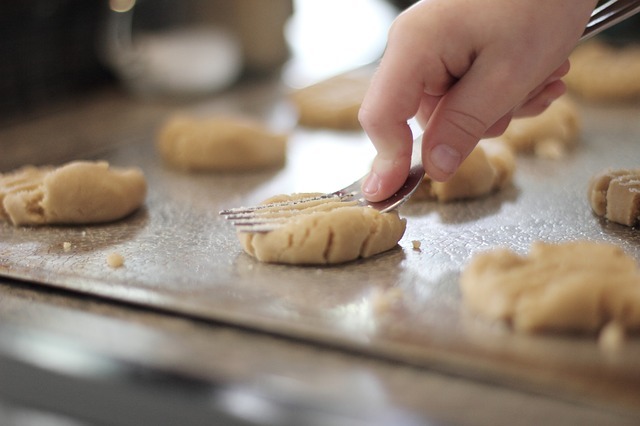 If your daughter loves to bake, whip up something fun in the kitchen while dad takes the boys out on the town! Then enjoy what you’ve baked together while you chit chat about the important things in life! 5. Arts & Crafts! My daughters love making necklaces or headbands and bows. If it’s girly, they are all over it! Basically, I have found that whatever I like to do with my friends, my girls also love to do with me. 6. Do a service project together! If you’re baking, bake something fun for a neighbor who is going through a rough time, or visit someone who is homebound. Help her to see outside of her own world and to reach into the lives of others! 8. 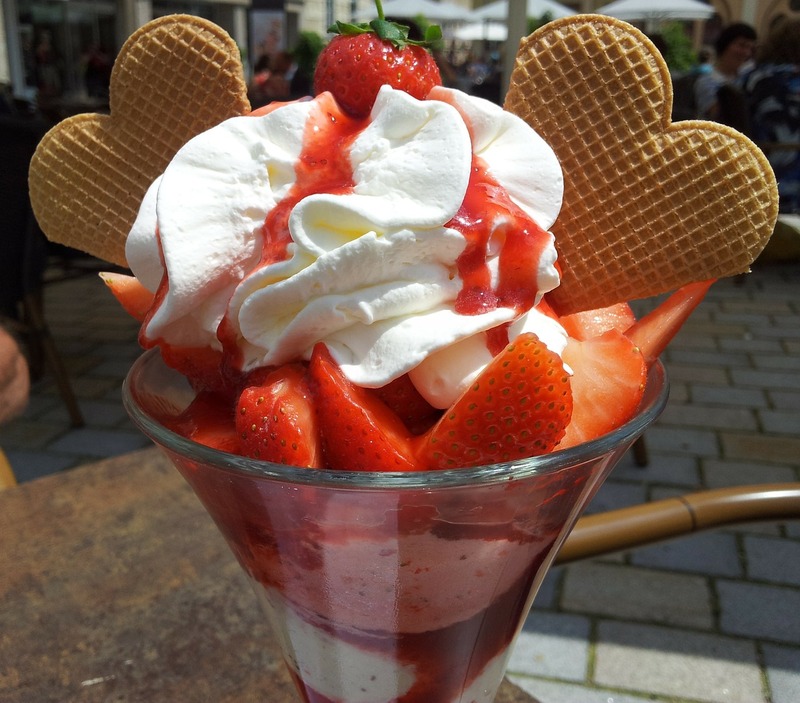 Go out for ice cream! This was one of my favorite things to do on a date when I was little. Ice cream never goes out of style! My girls and I love to go to the frozen yogurt shops so we can pick out our favorite toppings! 9. Go shopping! Ok, I know. I saved the best for last! 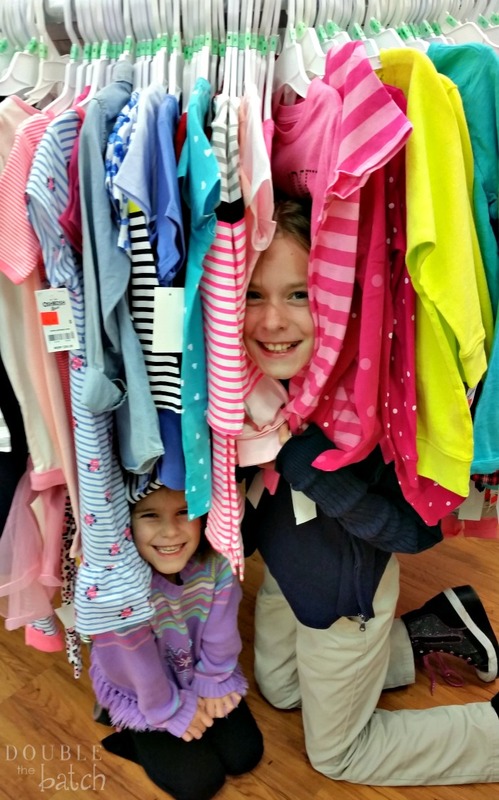 What girl (and mom) doesn’t LOVE to go shopping? It can be for ANYTHING! Even toddlers love to go shopping! With the weather turning warmer and spring in the air, I couldn’t ask for a better time to shop for new clothes. Spring colors have ALWAYS been my favorite and you can usually catch me looking for new clothes this time of year for that reason alone. It’s time to open the windows, #ImagineSpring, and get excited about the warmer weather! 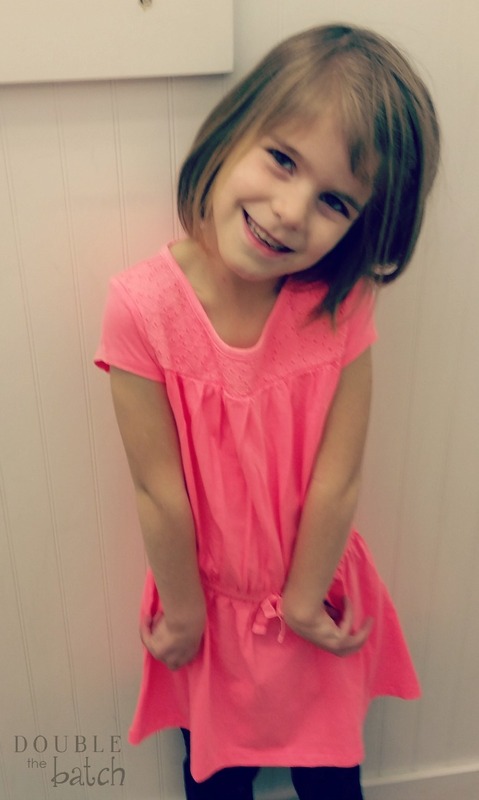 We had fun going in to Osh Kosh and checking out their new spring line-up for 2015. While Osh Kosh is known for their classic denim and World’s Best Overalls, they also have the cutest clothes for spring! My girls had so much fun. Osh Kosh clothes reflect the idea that ‘kids have fun being kids’ and that’s just what we did….HAVE FUN! (notice all the clothes they just had to try on, including the matching tees!) They also found some sunglasses and cute bracelets! 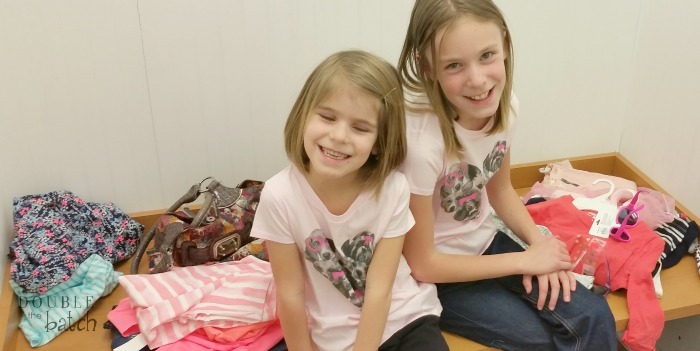 Our in-store experience was awesome and we had one particular employee who was so fun and took the time to help my girls go through all of Osh Kosh’s new graphic tees to find the ones they wanted to try on the most. The puppy dog tees were their favorite! We were able to find some great deals and walk away with some cute new outfits. My 5 year old wore her new shirt and leggings 2 days in a row she loved them so much! 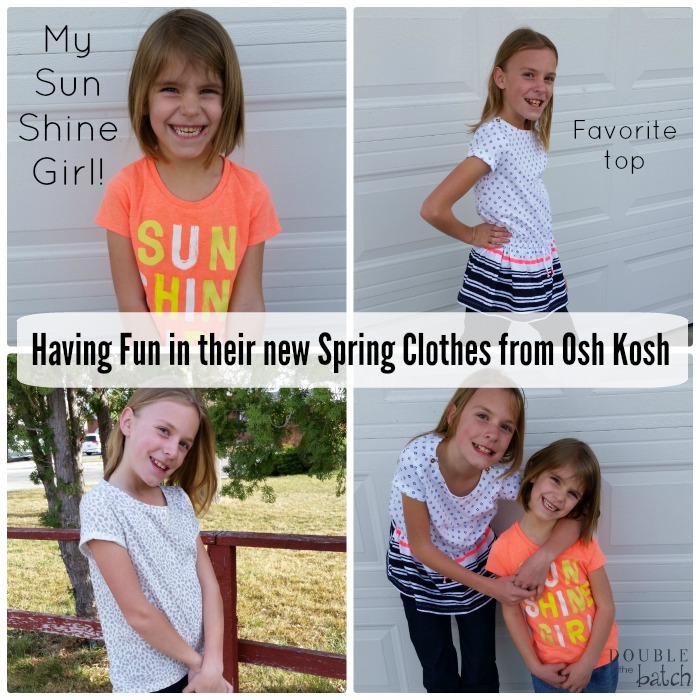 Their favorite part of the whole night was just getting to try on whatever clothes they wanted, and trust me, they were not disappointed in the cute selection Osh Kosh had to offer! 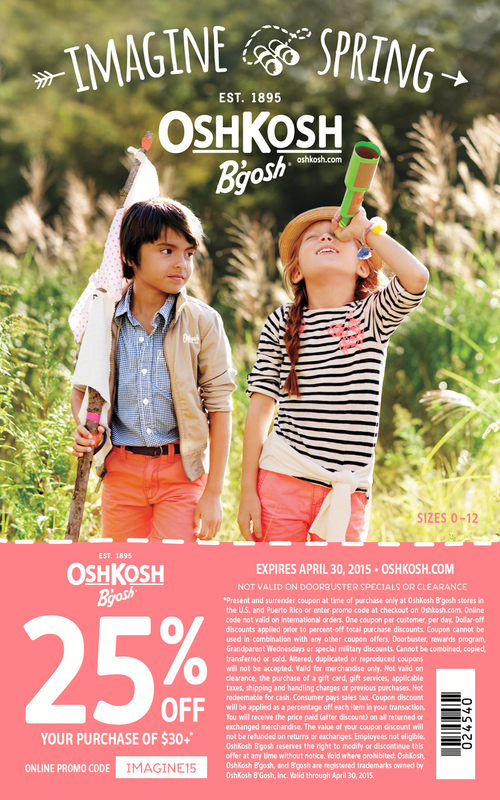 In addition to their awesome new spring line-up of kids clothes, Osh Kosh also has a great coupon you can use to make it even more affordable! Make sure to use it before it expires on April 30, 2015!